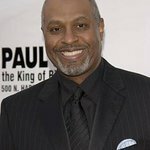 The goal of the James Pickens Jr. Foundation is to brig increased value to the lives of people of this generation and the generations that follow. The organization seeks, selects, supports and/or partners with individuals and community groups that work tirelessly to revitalize local communities. Key areas of interest for the foundation are: Faith-based programming, Arts, Cultural, Humanities, Education, Health and Human Services. Google trends for "James Pickens Jr. Foundation"